There is a universal rule that seems to hang in the frontal lobes of all interior designers and it goes like this: stay true to your home’s roots and always keep your home’s architecture in mind when decorating. Now, we’re not saying you need to recite these words when you wake up, brush your teeth, have a shower, commute to work and before you go to bed, and nor do you need to go full-blown Edwardian with your decorating just because your apartment is in an old Edwardian building in San Francisco, or embracing all things Colonial because you inherited a house in Hartford. What these designers mean is, well, just respect the bones of your home, send a few nods its way and then do whatever you please, which could mean blending the old with the new - the traditional with the contemporary - and nailing that striking look of juxtaposition. However, it must be known that getting this look right is an art. To help you out a smidgen, we have scoured the internet for the very best in modern decorating tips and tricks that will, hopefully, see your traditional home boast a delicate amount of contemporary flair. The easiest way to give your traditional home a nice splash of modern decor without inflicting any kind of harm on the architectural design of your space is to hang modern art on the walls. Contemporary art hung on a wall that has hip-high wainscoting will see your home find a balance like never before. Now, the beauty of modern art is in the eye of the beholder, which means there is a huge scope to choose from. This can be a blessing and a curse. The key is to choose something that a) compliments the colors of your current furnishings and b) you can walk past every day and still love. Keep those two things in mind and you will see everything else fall into place. As you may have guessed from our not-so-clever play on words, statement furniture is another genius way to hit the right modern notes. Of course, which direction you go depends on which room you are entertaining. If it is your kitchen, something as simple as a canary yellow table with a contemporary lampshade will speak volumes. If it is your living room, adding a unique seating option is a great route to go down, by which we mean getting a hanging chair like this one from Vertigo Interiors, or even just investing in a pastel coloured sofa with exposed wooden legs. If you want to start with your bedroom, then a minimalist bed frame is the simplest move you can make - a bedroom has only a couple of purposes, so there is no need to clutter it with anything more than the basics. Space is the final frontier, especially in traditional homes where rooms can feel a little pokey. When they were constructed, open plan was never considered because the heat would have escaped, which is why rooms can be so small until otherwise knocked through, For those that live in a converted apartment in the basement floor of an old Edwardian building, achieving a sense of space can seem impossible, especially with windows being limited. That is where innovation becomes your best friend, and by innovation we are talking about large wall decals that create the optical illusion of space. Make the back of a door look like the start of a tunnel leading into an age-old wine cellar, or let the sunshine through the trees or anything that will compliment the style of your home while also making a big impact on people’s perceptions. 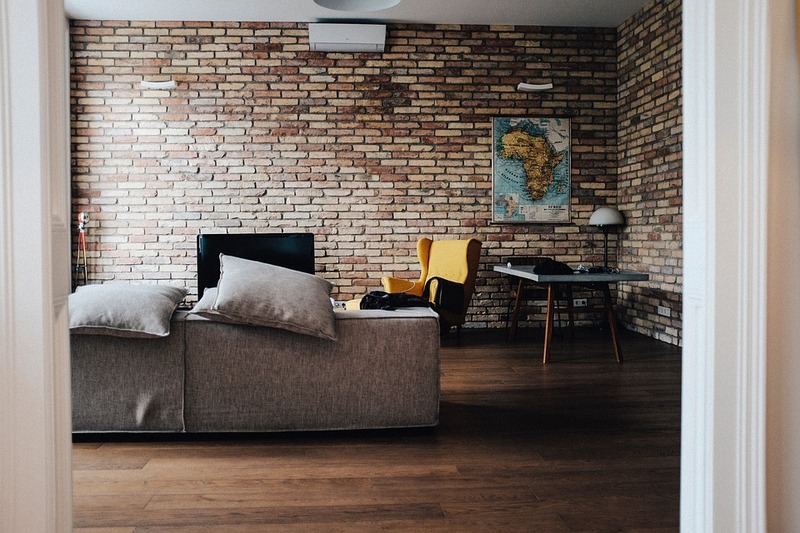 If you want to make parts of your home seem cutting edge and stylish, then it is time for you to embrace industrial tones throughout your home. Get this right and you will see a modern and functional look take over your home, and that will work beautifully alongside your home’s details. It could be that you use brushed metals in your kitchen, or render your kitchen island in a light grey color, or expose the concrete and brick in your bedroom, even if you paint it straight away. 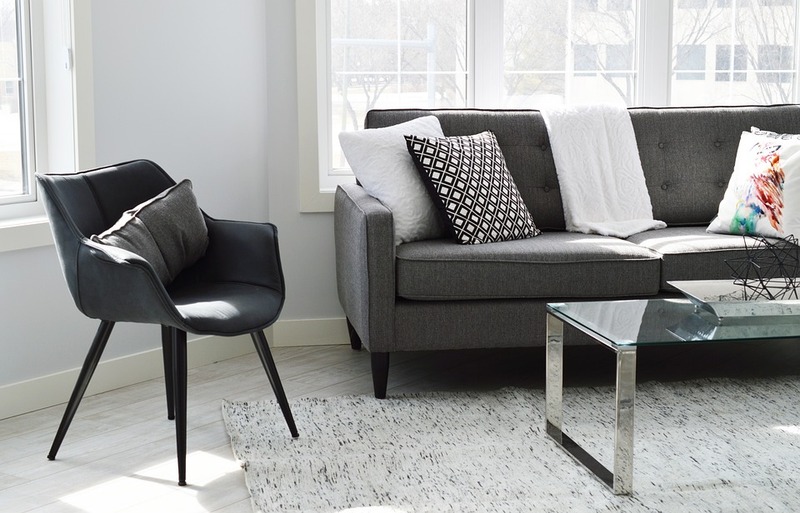 By letting the bare bones of your home burst through, quite literally, you can then get that juxtaposed look with modern art, or bright white furnishings, or through houseplants. It is one of the most popular looks right now, and we can’t see it disappearing anytime soon. In the same way contemporary art is a foolproof way of adding a splash of modern living to your decor, adding accent colors in other areas will achieve the same look. Traditional homes are all about neutral colours, faded looks, worn out accents and little more. Highlight this bright and vivid shades that will draw the eye and make different parts of your home the focal point. This is an especially good way to stop people from noticing how small a room may be. It could be a wingback chair in mint green or a window seat that is upholstered in a tropical pattern, using a twelve-lemon centrepiece in accordance with a yellow sofa, or simply picking up books with bright spines from a thrift store. These little accents can have a truly impressive impact on a space. Most things that stop you from seeing, make a space feel closed and that is closely associated with traditional furnishings. To combat this, add some bits and bobs that are transparent. It could be a glass coffee table, a minimalist dining table with thin legs and top, an acrylic chandelier or glass internal doors. This will lighten up the heaviness placed on your home by big, chunky, wooden furniture. Here’s the best part, though: you won’t need to worry about matching your furniture because clear items go with absolutely everything. Easy, simple, effective, and stylish.